Heighten your skill and brighten your kitchen with a cornucopia of knitting stitches. 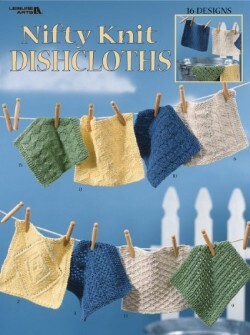 This collection includes 16 dishcloths each in one of four colors. These nifty knits make great gifts for family and friends! Leaflet 8 pages by Leisure Arts.